As I reflect back on my own battle with cancer in 2014, I know I won, in part, because of the help I received from my friends. My personal friends were always there for me whenever I needed a distraction, supportive conversation, a joke, a ride, a dinner, a hug, etc. My professional friends around the world always stood by me as well. Folks kept reading my old blog posts and returned once I resumed fresh blogging. Clients returned. My professional friends checked-in with me with cards, calls, visits, and prayers. My wife and I were touched deeply by the support we both received from all of our friends. So, my friend, thank you for your ongoing support. I appreciate it. 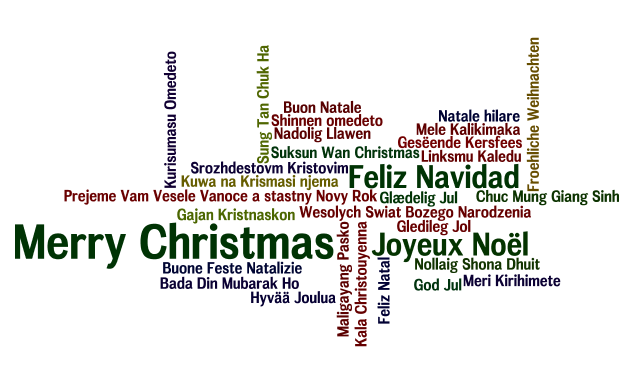 I hope you and yours enjoy the holiday season with health and happiness. Earlier this month, I expressed my concerns about #GivingTuesday. Now, the Lilly Family School of Philanthropy at Indiana University and the Case Foundation have announced the results. Guess what? Despite all the hype and self-congratulatory headlines, #GivingTuesday did not accomplish much. However, are the good, well-intentioned folks at #GivingTuesday correct? Did the occasion really make a “huge difference”? #GivingTuesday 2014 inspired $45.68 million in charitable giving, according to an infographic prepared by the Case Foundation. The final tabulation is expected to be even greater. Over 15,000 charities participated, representing 68 countries. The numbers look great at first glance particularly when recognizing that donations grew by more than 63 percent over #GivingTuesday 2013. But, let’s look at the numbers a bit more closely. Let’s assume that total giving in 2014 increases by four percent to $348.58 billion. Let’s assume that the initial reports that were shared were only half of the actual results. This would mean that donations on #GivingTuesday totaled $91.36 million, likely an overly generous estimate. Let’s assume that 100 percent of the reported donations were made in the USA. Let’s assume that the more than 15,000 participating charities are all based in the USA. Let’s assume that no donations would have come in on that day if it were not for #GivingTuesday. • #GivingTuesday generated 0.026 percent of donations for the year despite the day itself accounting for 0.274 percent of the calendar. In other words, despite the big promotional push, #GivingTuesday produced a disproportionately low volume of giving. • With more than 15,000 participating organizations, #GivingTuesday generated an average of just $6,091 per organization. While it’s nice to have the $6,091 of income, it’s hardly a transformational amount especially considering that that amount includes money that would have come in anyway. Beyond the numbers we do know, we do not know how much money would have come in anyway. We do not know how many new donors were inspired to give. We do not know if organizations are able to retain #GivingTuesday donors. We do not know if larger organizations are simply siphoning support from smaller organizations. We do not know if #GivingTuesday simply shifts when people give without inspiring more people to give, more people to give more often, and more people to give more. The Cosby family donated $20 million to Spelman in 1988. In 1996, Spelman opened the Camille Olivia Hanks Cosby EdD Academic Center. At that time, “an endowed professorship named for Drs. Cosby was also established to support visiting scholars in the fine arts, humanities and social sciences as well as Spelman College’s Museum of Fine Art,” according to a November 25 written statement by Beverly Daniel Tatum, Spelman’s president. Just 19 days later, Spelman reversed its position and suspended the professorship. When contacted, several Spelman officials refused to comment. A representative for Cosby also declined to comment. For the past several weeks, Bill Cosby has been the target of a large number of sexual assault allegations. However, no criminal charges have been filed against Cosby. Spelman knew this in November. It’s unclear why the College abruptly suspended the endowed professorship now. 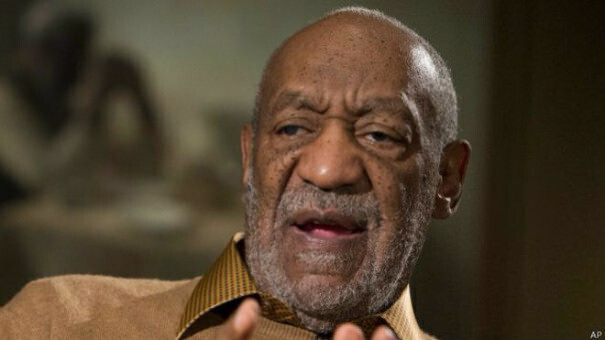 While additional allegations have been made in the intervening weeks, Cosby still has not been charged with a crime. To paraphrase Tyler Perry, if Cosby did commit the sexual assaults, it’s a terrible situation. If Cosby did not commit the sexual assaults, it’s a terrible situation. I won’t comment on the Cosby situation beyond that. However, I do want to explore the Spelman news because it has broader implications for all nonprofit institutions. IV. To be assured their gifts will be used for the purposes for which they were given…. V. To receive appropriate acknowledgement and recognition…. 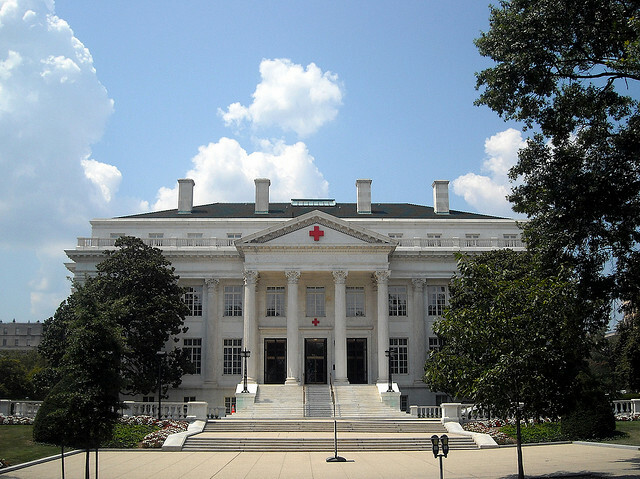 Is the American Red Cross Hurting Your Fundraising Efforts? “McGovern has often repeated that figure, which has also appeared on the charity’s website. That stunning revelation was made in a recently released investigative report by ProPublica and NPR. The Red Cross is a great organization. My wife and I have been donors. I even did a blog post highlighting the effective stewardship practices at the Red Cross and encouraging readers to support the organization. The American Red Cross does not have to “serially mislead” the public. Yet, that’s exactly what it has been doing according to the reporters. While the organization has told the public that 91 cents of every donated dollar goes to services, its fundraising cost to raise a dollar has been 17 cents on average. And that does not include organization overhead expenses. Clearly, the Red Cross has not been as efficient as its leader has claimed. When reporters contacted Red Cross officials for more information, those officials were uncooperative. However, the organization did change the claim on its “website to another formulation it frequently uses: that 91 cents of every dollar the charity ‘spends’ goes to humanitarian services. But that too is misleading to donors,” states the investigative report. Sadly, this is not the first time that the Red Cross has been accused by the media of misleading the public. As a Red Cross supporter and a fundraising professional, I’m alarmed and disappointed by the behavior of the Red Cross. Misleading the public, either through lies or the clever manipulation of language, is unnecessary, unethical, and unacceptable. Such inappropriate behavior erodes public trust, which makes fundraising more difficult. Perhaps this is one reason that the Red Cross has had trouble consistently raising more money. In 2009-10, the Red Cross raised $1.1 billion. In 2012-13, the Red Cross again raised $1.1 billion. 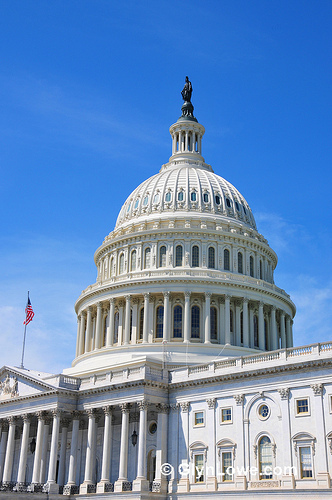 On Wednesday, Dec. 3, the US House of Representatives passed a short-term tax extenders bill. The bill extended certain tax provisions for 2014, including the IRA Rollover, a provision long supported by the nonprofit sector. The package would cover 2014 but NOT apply to 2015 or beyond. The bill now goes to the Senate. Sen. Harry Reid (D-NV) has questioned whether the Senate will have time to pass the House bill before the end of the year. However, Sen. Ron Wyden (D-OR), Chair of the Senate Finance Committee, and the White House have shown a willingness to move forward with this one-year retroactive fix, according to Jason Lee, General Counsel at the Association of Fundraising Professionals. The sad reality is that even if the tax extenders bill passes the Congress and is signed by Pres. Obama, there is precious little time for charities to take advantage of the IRA Rollover provision in 2014. Have You Made This #GivingTuesday Mistake? I have serious concerns about #GivingTuesday. Recently, the Context with Lorna Dueck Canadian television show invited me to share some of those concerns. My interview begins at about the eight-minute mark. Click to watch Context with Lorna Dueck. I also shared some of my concerns in two prior blog posts: “#GivingTuesday: Hype or Hope?” (2012) and “No Evidence of #GivingTuesday Success” (2013). I have many issues with #GivingTuesday. Nevertheless, I continue to hope it will ultimately prove worthwhile for the entire nonprofit sector. Time will tell. Meanwhile, I want to make sure you do not commit a serious #GivingTuesday mistake that can hurt your organization. If #GivingTuesday attracts new supporters and successfully inspires increased contributions from current donors, you can’t just operate as you normally would and expect to retain such support. Business-as-usual would be a big mistake. You need to do more to retain support. We have Black Friday immediately following Thanksgiving. We also have Small Business Saturday and Cyber Monday. Thanks to the folks at New York’s 92nd Street Y, we now have #GivingTuesday. The 92nd Street Y served as the catalyst and incubator for #GivingTuesday. Early on, the United Nations Foundation joined as a partner, bringing its strategic and communications expertise to the project. #GivingTuesday has now attracted participants from around the world. and more people to give more. In other words, to be good for the entire charity sector, #GivingTuesday must significantly increase the philanthropic pie. Helping some organizations do better at the expense of others is not a beneficial outcome for the entire nonprofit sector. Unfortunately, most nonprofit organizations are poorly equipped or motivated to do what is necessary to secure gains made through #GivingTuesday. While charities might be able and willing to leverage #GivingTuesday promotions to attract new donors, those same charities are doing little to ensure those donors continue their support. Sadly, it’s not a problem unique to #GivingTuesday donors. In the USA, donor retention is a real problem. Seven years ago, the average donor-retention rate was just 50 percent. While that’s not good, the retention rate has become far worse, falling to 39 percent! In Canada, the pool of philanthropists relative to total tax filers has fallen in recent years, from 30 percent to 23 percent. In other words, the donor-pie is shrinking, rather than growing, relative to the total population of tax filers. If your organization has participated in #GivingTuesday, I hope you have developed a creative strategy for engaging and cultivating all new and increased donors. By properly stewarding these individuals, you just might be able to hang on to them. If not, what’s the point of investing in #GivingTuesday?